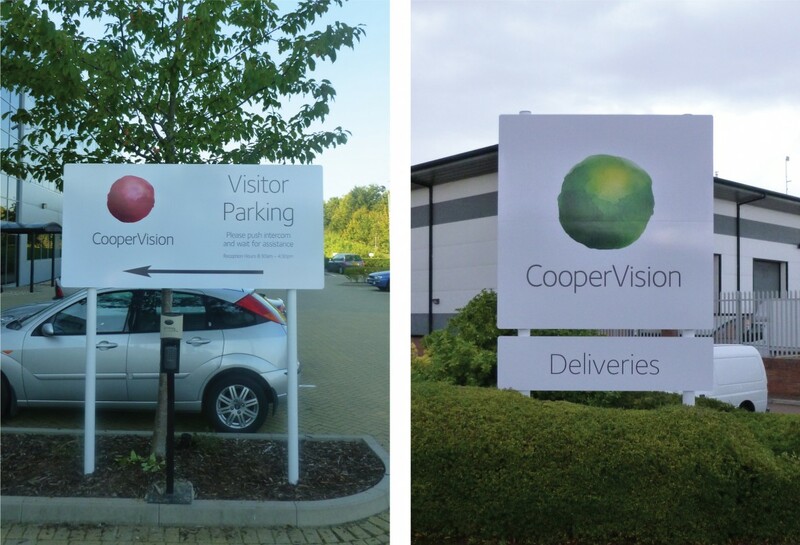 Coopervision approched Lime Signs to produce and install signage at their manufacturing plant in Segensworth, Hampshire. 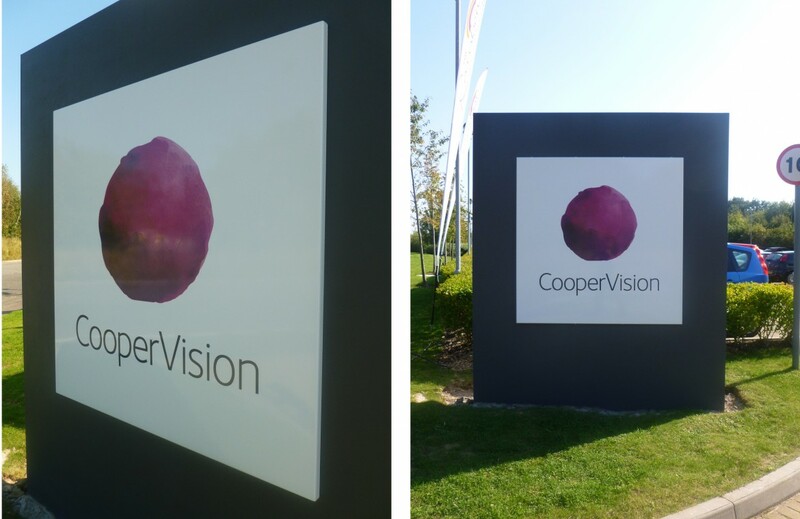 This was to coincide with their new brand identity and included the design and manufacture of a multitude of interior and exterior signage products that had to both reflect the quality of the brand, and be long lasting and servicable. Custom built external masonry wall (painted to one-off paint code), with Vitreous Enammel large format, full colour exterior signtray. Various exterior aluminium 'Plate and Post' signage with digitally printed graphics applied. 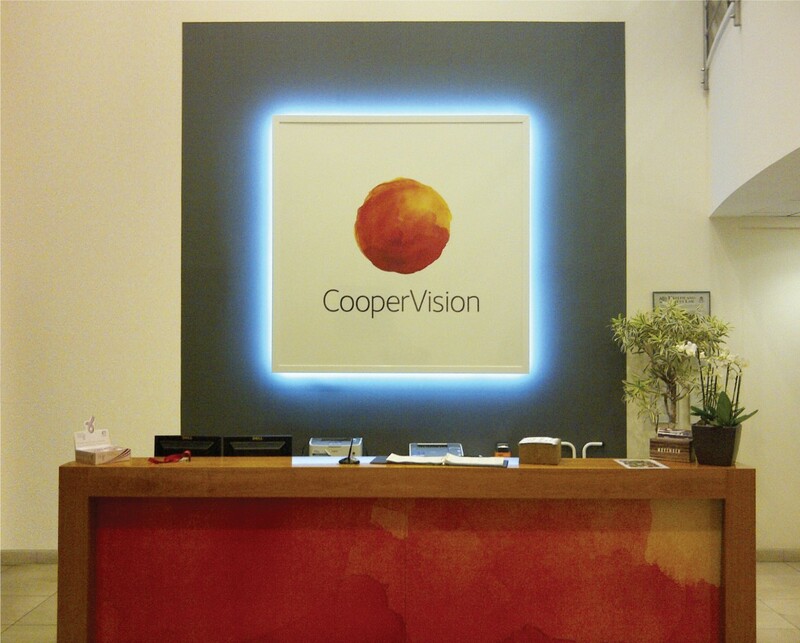 One-off 2000mm x 2000mm internal acrylic reception sign with HALO LED illumination. Bespoke glass front for reception desk with digitally printed graphics applied to reverse.